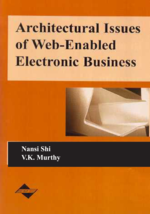 This chapter presents a comparative view of e-business systems designed to extend the benefits of e-business to the poor demographic segments of the developing world and to reach populations that are on the “wrong side of the digital divide.” Four such systems are selected: the Global Trade Point Network (GTPN) of the United Nations, Alcatel Telemedicine Network, Little Intelligent Communities (LINCOS), and Johns Hopkins International’s (JHI) Telemedicine Network. The four networks are compared across various network architecture dimensions. Our analysis indicates that LINCOS offers reduced capital cost, flexible architectures, and at the same time access to worldwide information systems, and hence has the highest potential to reach effectively the most excluded population in developing countries. Collaborations among technology marketers, national governments and international agencies are needed to identify the needs of the digitally excluded population and select appropriate architectures to serve the needs.